Funding for the TIGER program–which funds biking and walking infrastructure–is being debated in congress right now. If fully funded, this program will fund project like the pedestrian bridge over 600 S in Provo that connects to UTA’s central station. We need this money set aside for active transportation projects or else it will be swallowed up in the vast sums of money that go to highway and road widening projects. Please take action here now! On Tuesday, June 26, a group of interested people hopped on their bikes to join Bike Provo activists on an active transportation tour throughout the city. 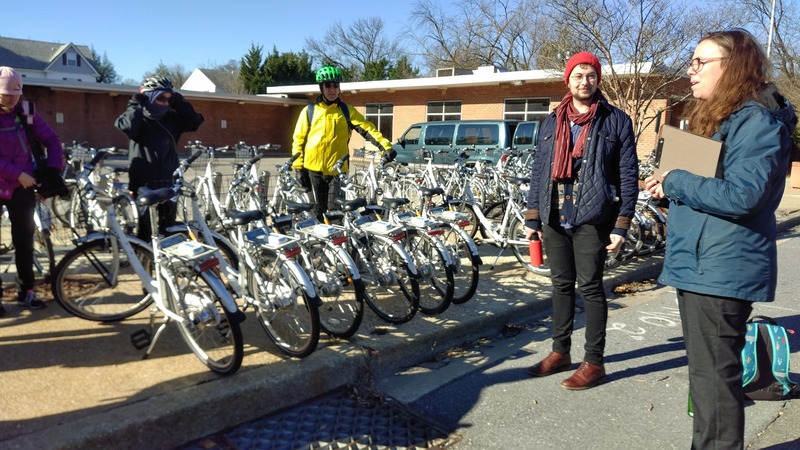 On the tour, we examined current biking and walking infrastructure, visualized planned infrastructure, and talked about improvements that could be made. Thank you to all who attended! We hope to do this again next year. I’ve written something I think you all will enjoy. This week, I graduate from BYU. 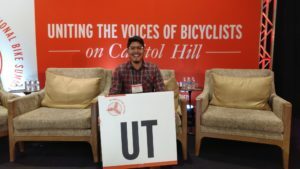 Since my senior thesis is about bicycle advocacy, I thought I would share it with you all. It focuses on how the quality of our communication makes all the difference in advocacy. My paper contains thoughts from my own experience and from urbanists like Jane Jacobs, Janette Sadik-Khan, and Mikael Colville-Anderson. 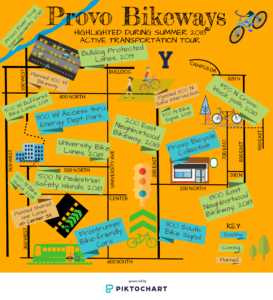 Because of the type of person you, as a reader of BikeProvo.org, probably are–engaged, involved, maybe even WOKE–the paper will contain strategies that you can immediately apply in your own activism. After 193 college credits, two majors, and two minors, I’ve finally graduated. I’m surprised it only took four years. Thank you to my mentors along the way like Dr. Aaron Skabelund of the history department, Dr. Brough and Dr. Coleman of the percussion studio, and Dr. Shumway of Latin American Studies. Thanks also to my wife who has let me be a workaholic for the duration of our marriage so far. Thanks for reading and I hope you enjoy this paper! The following are a few excerpts from the Project Concept Report, which the Regional Planning Committee used to approve $3 million of MAG funds for the project. If the project deviates significantly from the Project Scope it will have to go back through the Technical Advisory Committee and be re-approved by the Regional Planning Committee, which consists of all the mayors and county commissioners in Utah County. If they do not accept changes made to the project the $3 million will be allocated to the next eligible project (Springville 1200 W or Mapleton Lateral Canal Trail). “The project will include traffic cameras, and emergency vehicle preemption which will provide maximum benefit to emergency vehicles and traffic operations along the corridor. The project will reduce accident severity by eliminating high occurence left turn angle crashes and by separating bikes and peds from vehicle traffic. 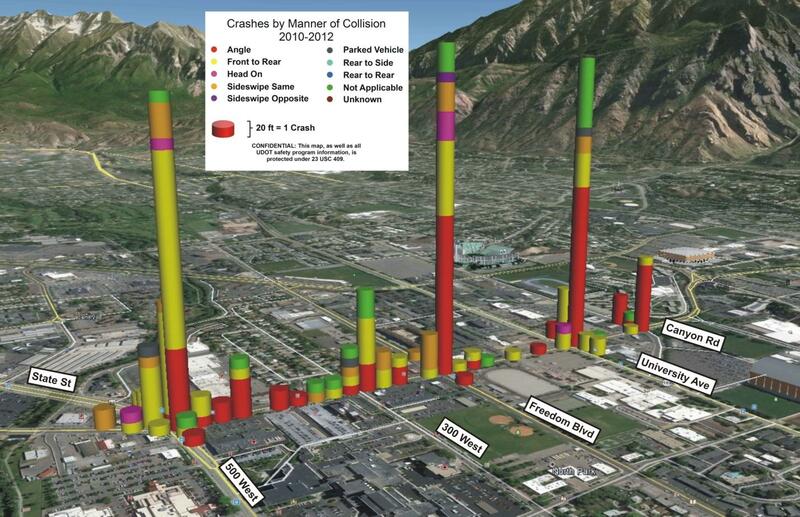 UDOT Traffic and Safety has evaluated the project and has determined that the project improvements have a total cost/benefit of $4.4 million dollars based on the crash reduction potential of the proposed improvements. 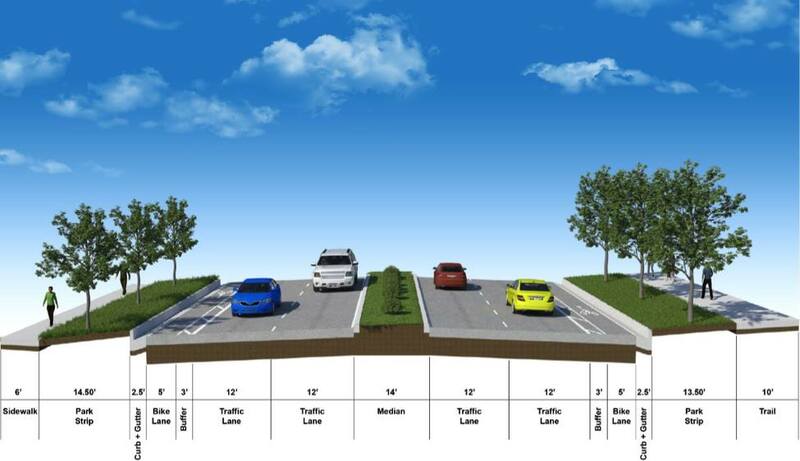 By minimizing the number of driveway accesses, traffic flow along the corridor will improve. As you are probably aware, the Bulldog project, which will improve safety for all users on this important corridor, is slated to be completed next spring. 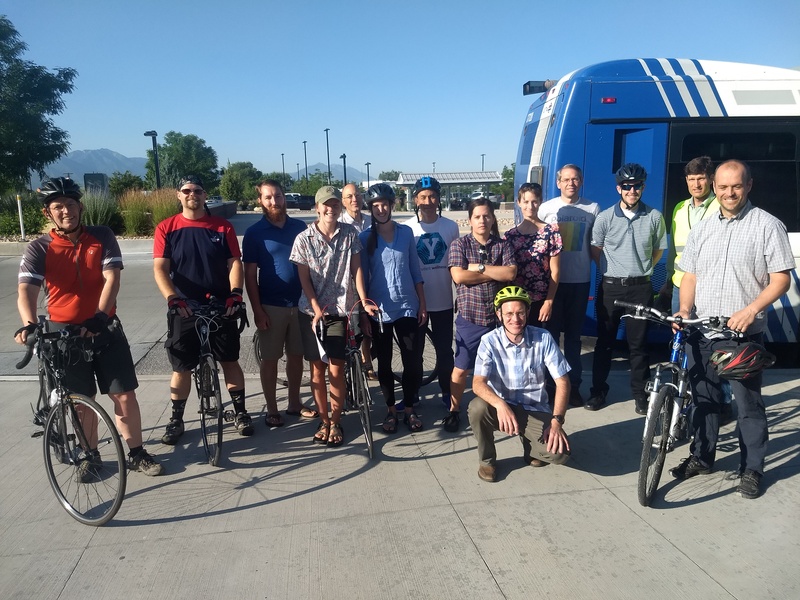 Yesterday the Campus Bicycle Committee participated in a meeting between Provo City Public Works and BYU’s Physical Facilities about how to make sure there is a safe and seamless transition across Canyon Road and onto campus. To do that will probably require BYU to widen the road slightly at the entrance to campus at 1230 North. The administration has asked our committee to gather some bike usage data and we agreed that complementing that with some anecdotal evidence, specifically student voices sharing their experiences riding on Bulldog and up 1230 North would help us better make the case to the BYU Campus Planning Committee. Could you please by next Monday share a paragraph or two about your experience as a bicyclist on Bulldog and 1230 North? (Did you, for example, feel safe riding on the shoulder began before the bike lane began near the entrance to the RB?) Also, if you know of any other students or former students who took that route, despite how dangerous it is, could you please ask them to share their experiences with me by next Monday? 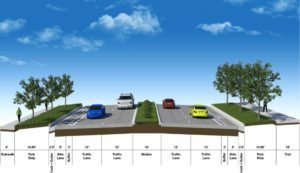 Public Comment for Bulldog Boulevard Project ends Sunday! Bulldog Boulevard is seven times more dangerous than the average road in Utah. UDOT, MAG, and Provo City are planning to redesign the road to make it safer…but they need your input! 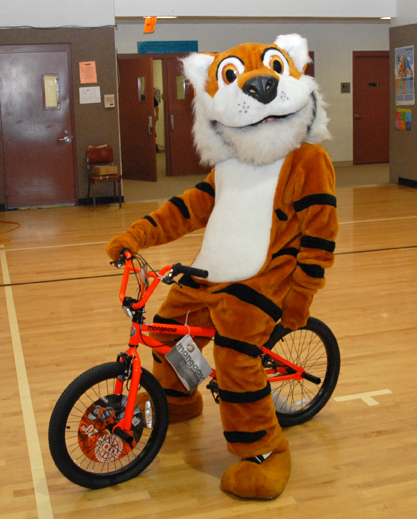 Please voice your support for this project that will drastically increase safety for people in cars, on bikes, and on foot! Public comment ends Sunday. 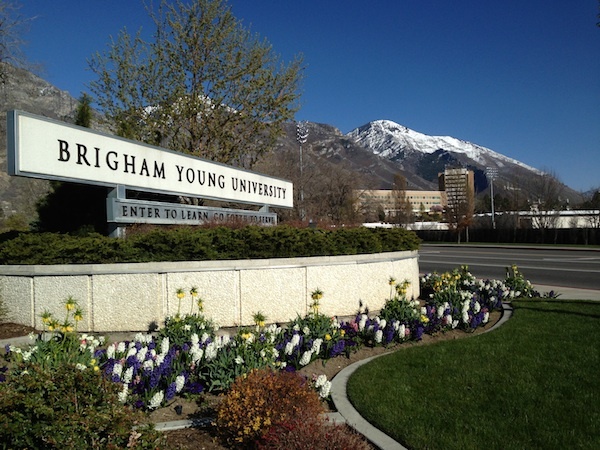 Advocacy Alert: Provo Needs Your Voice! 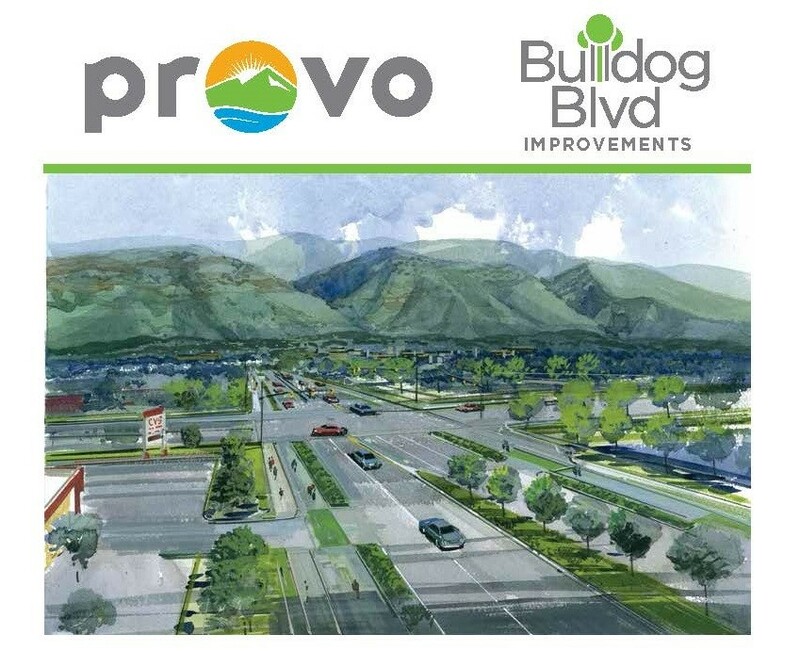 Provo is considering plans for Bulldog Boulevard and 500 West that are designed to slow car traffic and add bike lanes. Sadly, many residents intend to keep these streets the high-speed, wide-open roads they currently are. 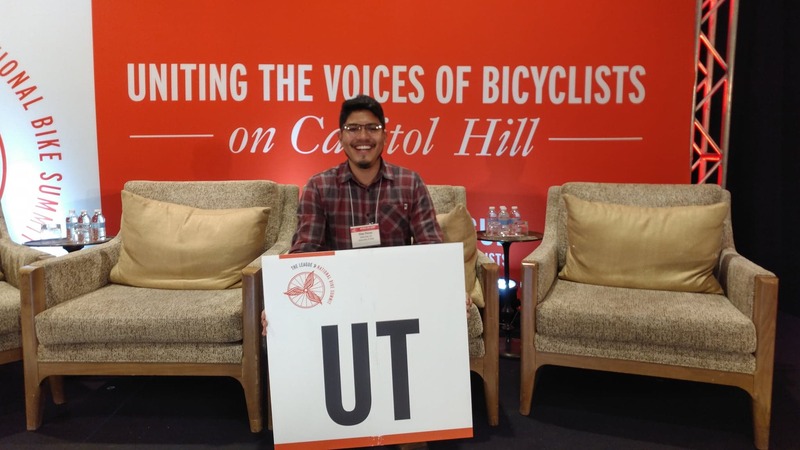 This would maintain the high level of traffic crashes–more than seven times the state average–and continue to discourage cycling along those routes. These people have already blasted the city government with messaging in opposition of the project. We need your voice now to encourage our city government to install bicycle-friendly infrastructure so all road users can be safe. 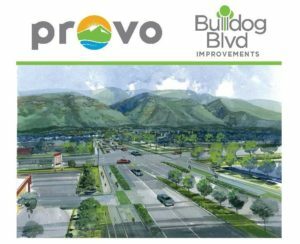 Public Comment on Bulldog Boulevard: Provo City and UDOT want to hear your thoughts on the initial project design. Submit comments to the project team. Contact 888-966-6624 or provobulldogblvd@gmail.com. Online Comment on Bulldog Boulevard: Follow the link to comment on the proposed design. 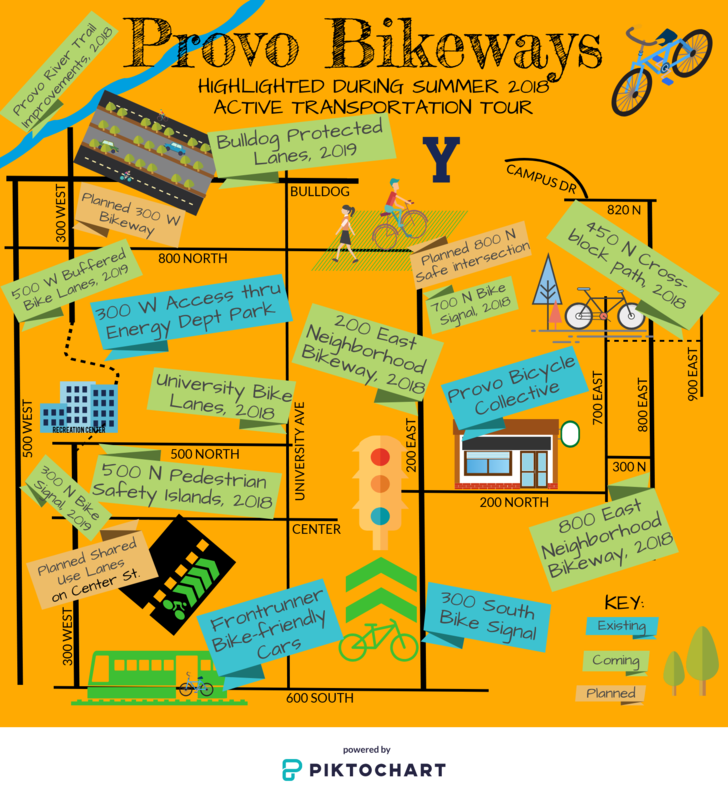 500 West Design Open House: June 13 from 5-7pm at the Provo Recreation Center. Learn more about the project design.